A cruise to the islands of the South Pacific is one of the all-time great adventures, and California is an ideal departure point. Sail away to legendary beauty and fun. The full schedule of departures is below. Bora Bora, the most beautiful island in the world, is surrounded by a calm emerald-blue lagoon. White sand beaches invite relaxation, and the lush green mountainous terrain of the island invites exploration. Enjoy snorkeling, an outrigger canoe ride, or a tour in a Jeep. 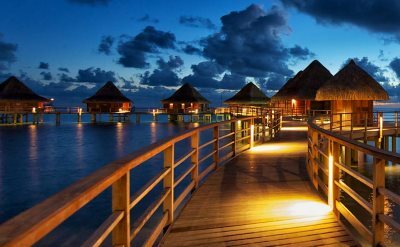 Tahiti is the largest chain of islands in French Polynesia. Shop at Le Marche market. The view from Mount Aorai is stunning. Moorea is another gorgeous island, and is warm and welcoming. It's famous as a vacation destination, but maintains a small island feel. Eight mountain peaks rise from the lagoon, and the terrain make it an adventure hotspot. 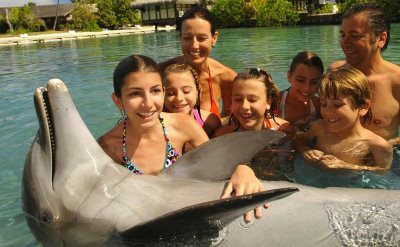 Visit the Moorea dolphin center, try parasailing, tour a pineapple plantation, and don't miss the view from Belvedere Lookout. 18-night cruise to Tahiti on Regent Seven Seas. One-way cruise from Los Angeles to Papeete (Tahiti). 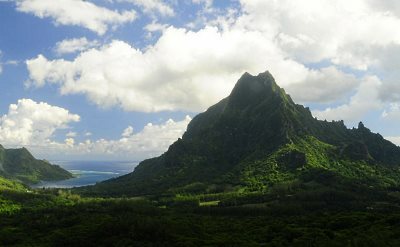 Visit Nawiliwili (Hawaii), Honolulu (Hawaii), Kahului (Hawaii), Nuku Hiva (Marquesas), Fakarava (French Polynesia), Bora Bora (French Polynesia) and Moorea (French Polynesia). 13-day cruise to Tahiti on Crystal Cruises. One-way cruise from Los Angeles to Papeete (Tahiti). 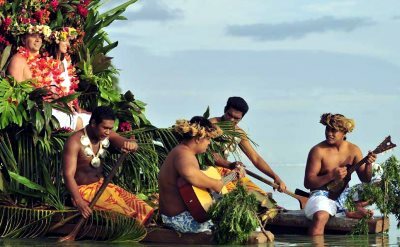 Visit Nuku Hiva (Marquesas Islands), Rangira (French Polynesia), Bora Bora (Society Islands) and Moorea (Society Islands).